Students are exhibiting violent behaviours towards themselves or others and are requiring the support of a behaviour or safety plan. There is a question or concern regarding child abuse or neglect. Students require crisis intervention for suicide, critical incident response and/or risk assessment. Act as liaisons for families with outside agencies like mental health and social services, consulting with classroom teachers and school supports every step of the way. Help direct families to appropriate community supports when school resources are limited. This includes grief or divorce supports, family counselling or any other counselling or medical support that is required. All students accessing social worker/counselling supports require a referral. To request a referral parents must talk with their child's classroom teacher or administration. 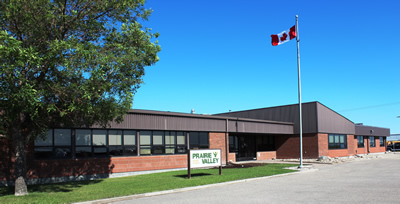 Parents will need to sign the referral, consenting for the school to talk about their child's needs to the Prairie Valley Learning Supports (PVLS) team. Your consent allows the team to discuss your child's needs further and make an intervention plan to meet those needs. This plan may or may not include direct support or counselling from the social worker. The plan could include services from other disciplines within the PVLS school team. How much consultation will I get if my child is receiving social work or counseling support? When it is decided that your child will have social work involvement, the school social worker will contact you. At this time, you will have a discussion about your concerns and what interventions and supports are needed. The school social worker will have contact with you throughout their working time with your child. As a parent, you will have direct access to the social worker once your child is on caseload. The team works as part of a multidisciplinary team that includes speech and language pathologists, occupational therapists, psychologists, consultants and coordinators, as well as students, families and outside agencies to remove barriers to education and enhance opportunities to engage in learning. Understanding the psycho-social factors that contribute to optimum learning, the job of the Child and Family Support Worker is to help children stay in school and be successful learners. School social workers assist students with problems that arise at school, home and in their communities. promotion of Positive Behaviour Interventions and Supports (PBIS) within the School Division. Risk assessment – threats, suicide, aggression, violence, harm of others, self-harm. Evaluation and updating of the critical incident process. Click here for a printable copy of this material.